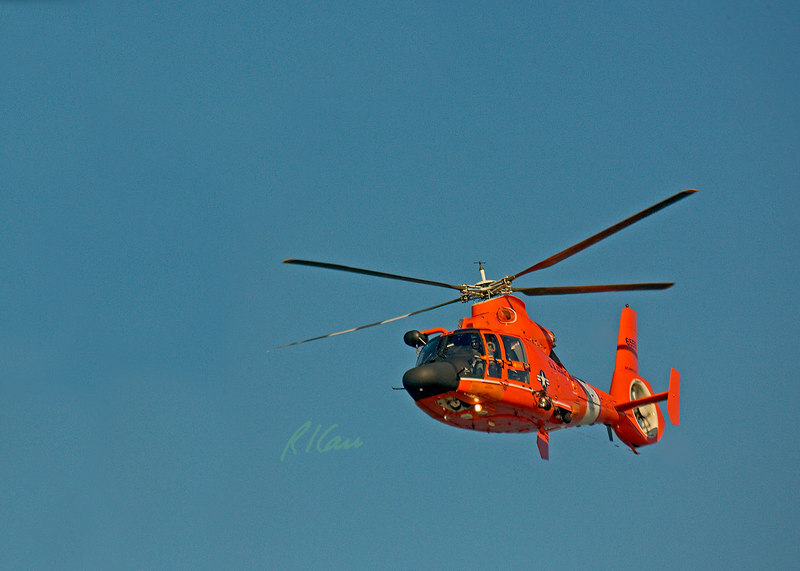 United States Coast Guard Helicopter Eurocopter HH65A Dauphin flying over Potomac River between Virginia and Maryland. Alexandria, Virginia. November, 2006.